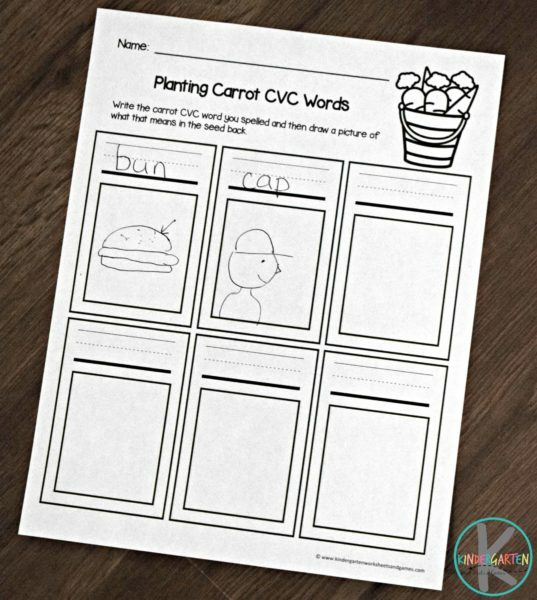 Kids will have fun practicing forming CVC words with this free printable Planting Carrot CVC Words activity for preschool, kindergarten, and first grade kids. Kids will love practicing reading and understanding cvc words with this fun, hands on activity for early readers. 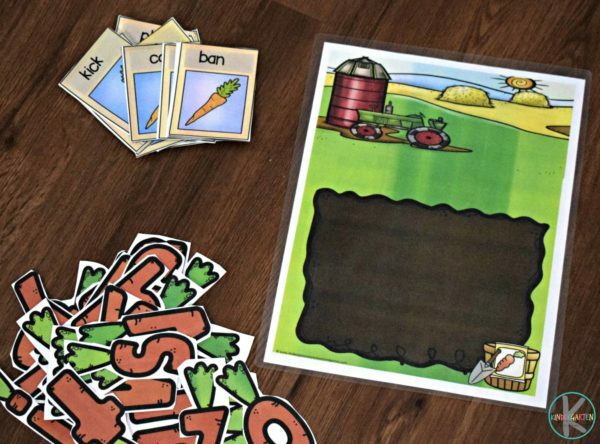 This fun, hands on spring cvc words activity is more than than just handing out cvc words worksheets. Simply print all the pages and laminate for durability. Cut apart the seed packets and carrot letters and you are ready for some early reading fun! 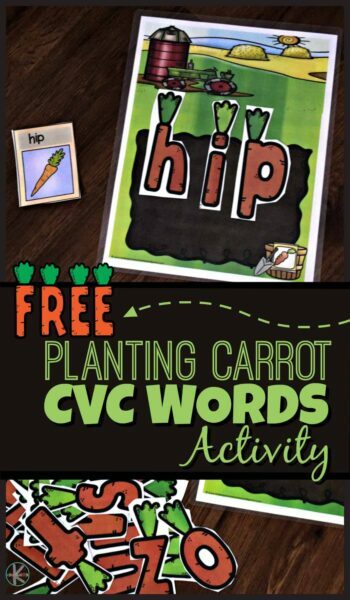 Kids will pick one of the 81 CVC word seed packets and use their carrot letters to plant the sight word in the dirt. 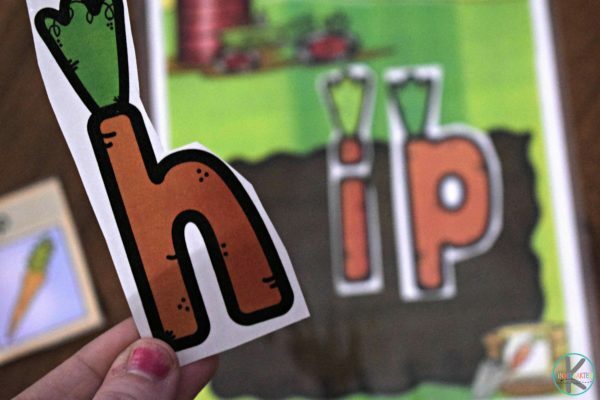 This is such a fun hands-on CVC words activities for prek, kindergarten, and first grade kids. These super cute carrot alphabet letters are a fun way for kids to practice their cvc word list. If you like, kids can write the cvc words they plant on the black and white worksheet. Then they can draw a picture of what that word means. This is great early reading practice for kindergartners.